One week before Halloween Wyatt went from normal, wild Wyatt to going to bed early, on his own. And then the fever started. Over the next five days Wyatt spent a lot of time sleeping with a fever from 101 to 103.5. 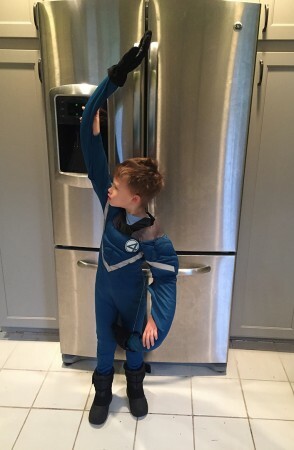 Just as Wyatt was showing signs of recovering, Ruslan came home from school with a 103 temperature. 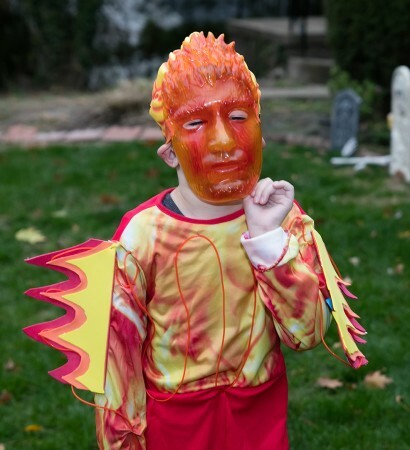 On Halloween he was still very tired and running a low fever. 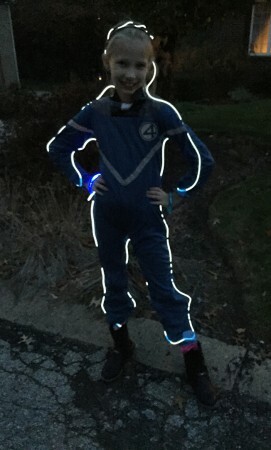 He didn’t want to trick-or-treat at all, but I talked him in to going to a few houses and then I walked him home. 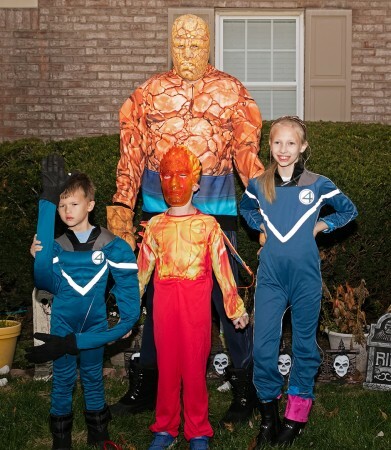 Last year Scott and the children were The Guardians of the Galaxy and this year they returned as a different set of Super Heroes – The Fantastic Four. 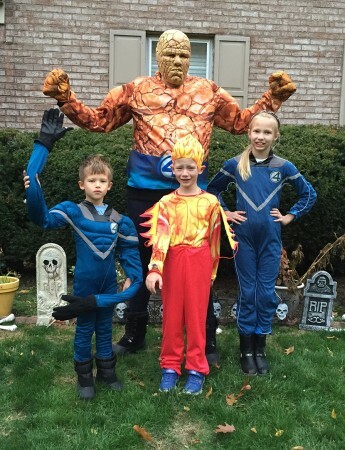 Scott – Thing, Juliana – Invisible Woman, Ruslan – Mister Fantastic, Wyatt – Human Torch. Ruslan enjoyed showing off his long arms. Wyatt hated the mask but we managed a quick group shot with the mask. The five of us set off and as expected after a few houses, Ruslan insisted he was ready to go home. I walked back to the house with him and then caught up with the others. 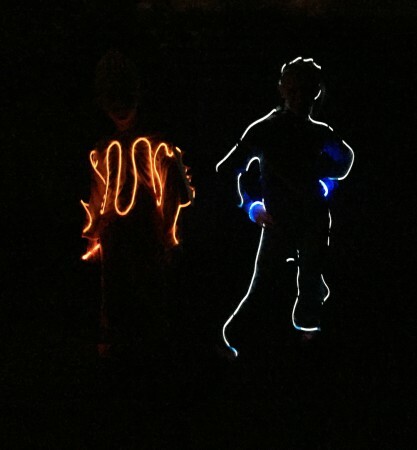 When it got dark, the lights on Juliana and Wyatt’s costumes were really cool. 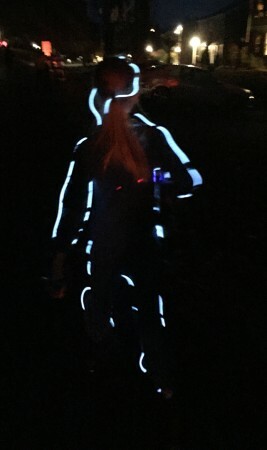 We didn’t need flashlights and it was easy to keep track of them as we walked through the neighborhood. 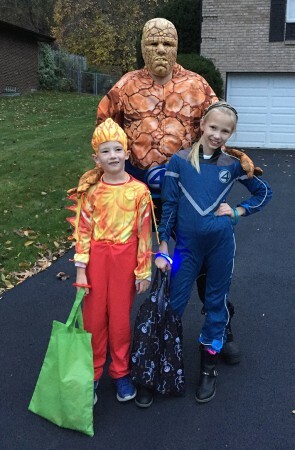 This was the first time in years that we have trick or treated without rain and it was relatively warm – no coats and no umbrellas – we finally lucked out with a nice evening. Fortunately Ruslan wasn’t too sad to miss it, we made sure that he ended up with lots of candy.